Epilepsy is a medical condition characterized by seizure episodes. There are different types of epilepsy as well as various causes for the condition. The exact cause is even obscure in many cases. In a person with a history of seizures, epilepsy prevention mainly aims at avoiding known causes of epilepsy that act as triggers. If you have a person with epilepsy in your family, you should keep an eye out for his epileptic attacks to ensure that you can get him medical aid on time. Familial association and support are important while considering epilepsy prevention. 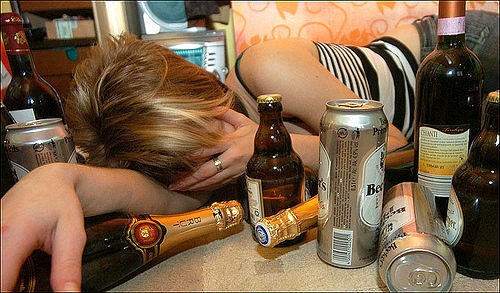 Begin epilepsy prevention by reducing your alcohol intake. Epileptic patients are prone to abrupt seizure episodes if they do not get adequate sleep. If you have had seizures in the past, avoid sleep deprivation to prevent their recurrence. Heavy alcohol consumption is one of the triggers for epileptic episodes, so cutting down on alcohol will reduce the chances of seizure precipitation. The use of illicit drugs like cocaine (and certain drugs of common medicinal use) also provoke seizures. Withdrawing from the drugs by following the doctor’s advice will automatically reduce the worsening of this condition. High grade fever in children between 3 months to 5 years of age may provoke seizures. Taking utmost care of the child during such bouts of fever reduces the possibility of seizures in future. Medication prescribed in cases of febrile seizure episodes depends upon the frequency and the nature of the seizure. Sudden emotional, psychological, or physical stress can be an epileptic trigger. If you are an epileptic, you must learn to gain control over day-to-day stress. Meditation might help in this regard. A woman with a history of seizure episodes should be very vigilant about possible fluctuations in hormones and other bodily behavior, such as during menopause. Remain cautious during this phase. Exposure to frequent and varied-intensity light fluctuations may trigger epileptic attacks. Hence it is prudent to avoid such exposure by refraining from driving at night amid the excessive glares of headlights, and not watching television in a dark or dimly lit room. Infections (bacterial, parasitic, or viral) in the brain may also prove to be a trigger for epileptic fits. Intense medical care of patients with such infections reduces the risk of seizure episodes. The prenatal period refers to the duration of a baby’s life before its birth. Ensure that you receive appropriate prenatal care and protection from infections during pregnancy, to prevent damage to the brain cells of the baby. This reduces the risk of the baby developing epilepsy later in life. Control over the mother’s blood pressure during pregnancy is also crucial to avoid ‘eclampsia’, a condition characterized by seizures in pregnant women due to uncontrolled high blood pressure. Regulating the mechanism of defective genes is a new method to prevent epilepsy from occurring later in life. This type of measure targeted at epilepsy prevention is under trial. Excessive rapid and deep breathing (hyperventilation) has been reported as the primary factor in epileptic attacks. The body mechanism ensures that oxygen is taken inside the body while breathing in, and carbon dioxide is expelled from the body while breathing out. In the case of epileptic fits, rapid and deep breathing causes a decrease in the carbon dioxide level in the blood, which makes neurons hyper-excitable. During respiratory exercises (meant to prevent epilepsy), slow and shallow breathing is advocated. This raises the carbon dioxide level in the blood, which reduces the hyper-excitability of neurons and alleviates the risk of a seizure. Recent research literature suggests that regular breathing exercises help prevent episodes of seizures, but they must be performed only after consulting a doctor. In patients with epilepsy, drug dosage schedules must be followed accurately, as prescribed by the doctor. Never modify the drug or its dose on your own. An improper or irregular dosage may precipitate an attack of epilepsy. Keep regular records of even the slightest event related to epilepsy. Watch yourself for any weird sensation like an abnormal smell/light/sound, as it could be an ‘aura’ (Symptoms which precede the onset of epileptic seizure). The ‘aura’ should be reported to your doctor without delay. It may be an indication that a change in drug therapy or an alteration in dosage schedules is required. Do not keep mum. Discuss your epileptic attacks with loved ones and people who surround you every day. So in case you experience an epileptic attack, people around you will know how to handle the emergency. Patients of head injuries, metabolic disturbances, and high grade fever are potential candidates who may be affected by epilepsy. Epilepsy symptoms can be highly disturbing and traumatic for those who undergo them as well as those who witness them. Epilepsy prevention is best done by strictly avoiding epileptic triggers. In addition to this, in cases where an individual already has epilepsy, taking the prescribed medication without fail is an important part of epilepsy treatment. This entry was posted in Epilepsy and tagged how to prevent epilepsy, prevention of epilepsy by Dr. Harshal Narkhede. Bookmark the permalink.